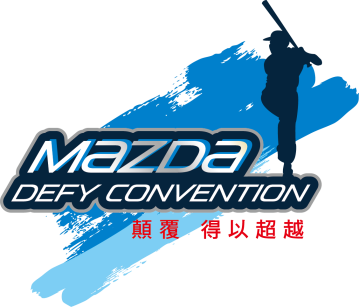 The four top high school baseball teams of the 2017 Black Panther Flag Championship (TPBA) will take on four highly competitive teams from Japan at the 3rd MAZDA "TAIWAN/JAPAN H.S EXCHANGE SERIES", in Taichung for 5 days from Monday, December 25. From Japan, Osaka (大阪) All-Star team is invited for the second consecutive year as Osaka Toin High School（大阪桐蔭） was the winner of the spring National Invitational High School Baseball Championship at Koshien Stadium in Nishinomiya, Hyogo Prefecture in March, 2017. Team Osaka is managed by veteran Koichi Nishitani of Osaka Toin. It was Riseisha High School（履正社）arch-rival of Osaka Toin, which won the spring Championship in 2016. Three other All-Star teams from Japan come from Chiba (千葉), Gifu (岐阜) and Wakayama （和歌山）. 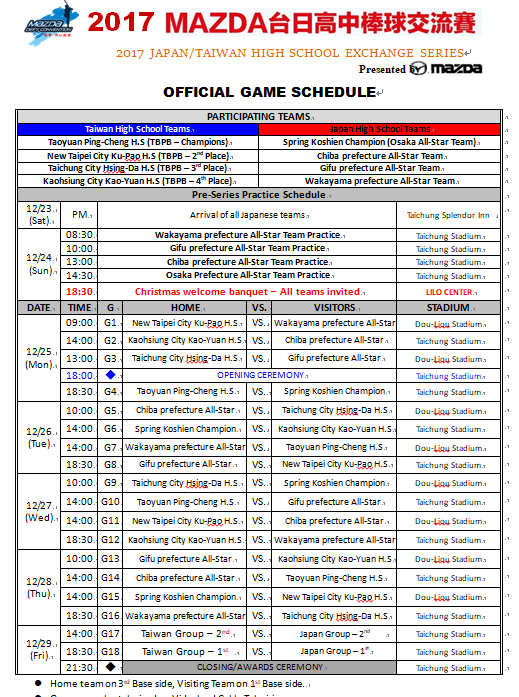 At the two previous High School Exchange Series, three All Star teams from Japan representing Fukui, Ehime and Yamagata (2015), and two teams from Osaka and Nara (2016) played against their counterparts in Taiwan.